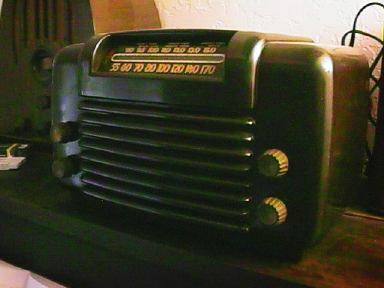 Five tube, two band radio covering BC and SW. 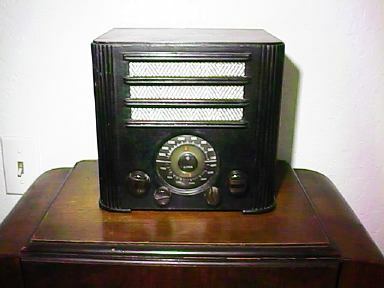 This was my first old broadcast radio. 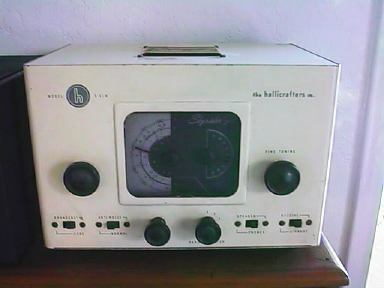 I got this in 1965 by trading a homebrew VFO for it. Five tube, covering broadcast band. Model number is unknown. 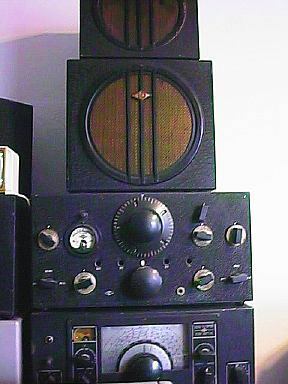 Five tube, two band radio covering BC and SW.
Nine tube superhet covering 540 kHz to 42 MHz with a crystal filter and built-in speaker. This is an early version according to the Dachis book. Five tube, two band radio covering BC and SW. A very sensitive radio. 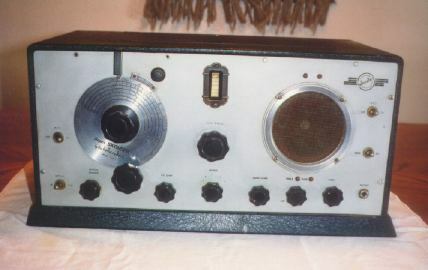 Appears to be the same chassis used in the highly desirable Tropicana mirrored radio. WWII Walkie Talkie made by Motorola. This is still seen in many WWII movies and most recently in the movie Pearl Harbor. 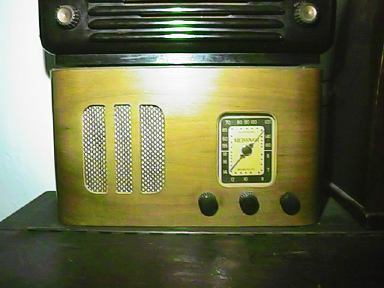 Radio uses miniature tubes powered by a 1.5 volt battery for the filament and 105 volts for B+. This unit is on 3840 kHz. 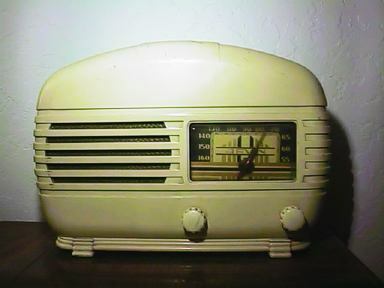 12 tube, 9 band receiver with plug-in coils, separate speaker and separate power supply. 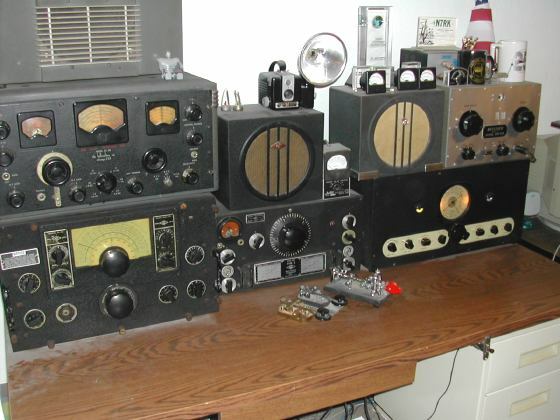 Basically an HRO-5 in a new cabinet - the first post war HRO. 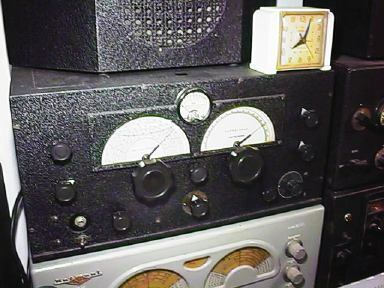 12 tube ham band only receiver covering 160, 80, 40, 20 and 10 meters. 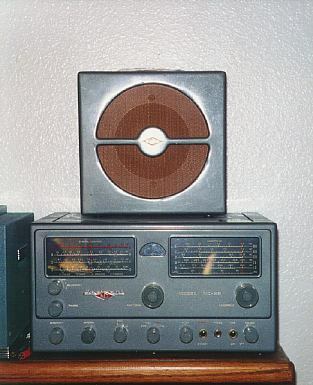 This is the later version with an S-meter. Earlier version has a tuning eye. 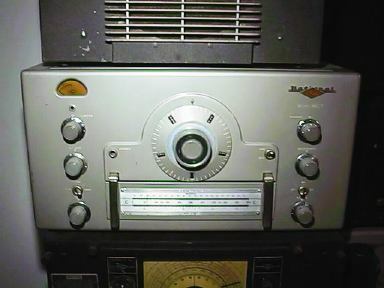 This is a moving catacomb coil receiver and a ham band only version of the NC-100ASD which is shown below in the photo. 10 tube general coverage receiver covering 550 kHz to 30 MHz. Neat to look at but not the greatest performer. 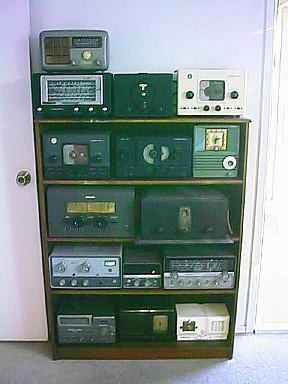 I also have the factory speaker although not shown. 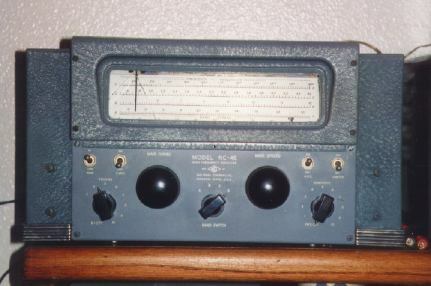 Eleven tube, six band communications receiver covering 550 kHz - 32 MHz. 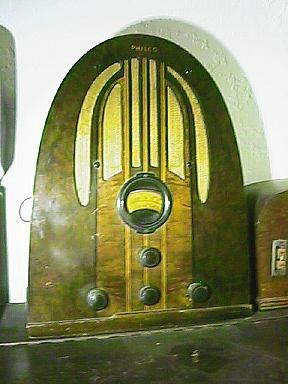 This model has the noise silencer in the lower right hand corner and the factory speaker. 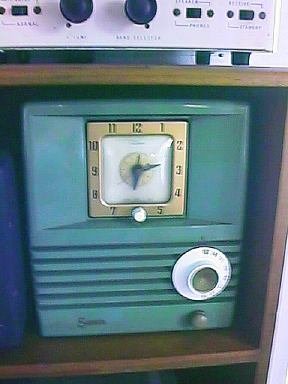 Sonora Clock Radio - 1940's? Six tube, broadcast band. 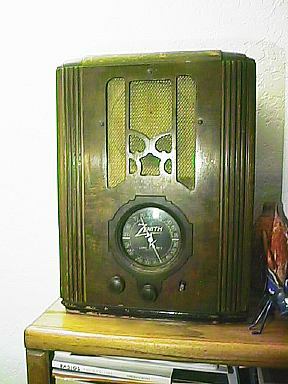 A very nice sounding radio. 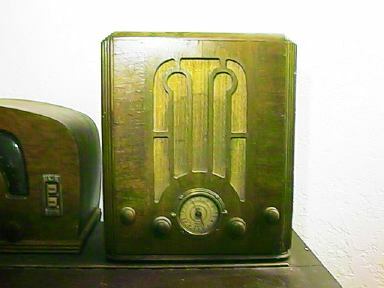 I use the Meissner Signal Shifter with it's 8 watts out as my transmitter and I can switch between the following receivers: Hallicrafters SX-28 and PM-23 speaker, National RAO-7, National HRO-5T and factory speaker and RCA ACR-175 from 1936. The three keys are: a 1940's Vibroplex bug, my original E.F. Johnson straight key that I got as a novice in 1963, and a brass Signal Electric key. I have always preferred straight keys with skirts as I find them more comfortable to send with. The HRO-5T is special to me. It belonged to my Elmer, W6BAM and I used to use it at his station back in the early 1960's when I was a kid (ages 11-14). 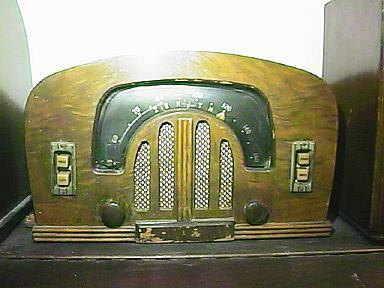 Even though I had a top of the line Hallicrafters SX-115, I thought it was a really neat receiver. He had bought it new when he came back from WWII and used it up into the late 1980's. He sold it to me in 1995 and I brought it back to Phoenix from northern California on the airplane in my carryon! I stopped at a packing store and had them pack the coils, speaker and power supply which were than checked as baggage. I threw my expensive 3 piece suit, tie and shirt into a paper shopping bag and carried it on the plane also. Although it looks stock, he added a voltage regulator circuit to the oscillator which results in it being a much more stable and usable receiver. He also modified a couple of the plug-in coils so that I have a 15 meter bandspread coil and a 160 meter bandspread coil which was made from a broadcast band coil. Photographs and text can be reproduced provided that they are credited to David S. Hollander.